The knee is structurally complex. Our knee is composed of three bones. The Femur, or thighbone, is positioned on top of the Tibia, or larger leg bone. The Patella, or kneecap, glides in a groove on the end of the femur. Large muscle groups in our thigh give the knee strength and stability. The Quadriceps muscles are a large group of muscles on the front of our thigh that straighten and rotate the leg. The Hamstring muscles are located on the back of the thigh and bend or flex the knee. Four ligaments connect our knee bones together. The ligaments are strong tissues that provide stability and allow motion. The ligaments enable our knee to have the flexibility to move in various directions while maintaining balance. The Medial Collateral Ligament is located on the inner side of our knee. The Lateral Collateral Ligament is at the outer side of our knee. These two ligaments help the joint to resist side to side stress and maintain positioning. Doctors typically perform the Lachman Test to determine if the ACL is intact. For this test, you will lay on your back and slightly bend your knees. Your doctor will place one hand on your thigh and attempt to pull your leg forward with the other hand. Both of your legs will be tested to compare the results. The test is positive if your leg can be moved three to five millimeters. The Pivot Shift Test is also used to determine if the ACL is functioning. For this test, you will straighten your leg. Your doctor will hold your leg while turning it and moving it toward your body. If your leg moves in and out of position, the test is positive for an ACL tear. 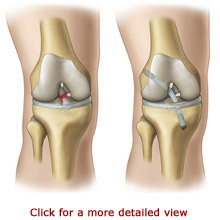 Your physician will order X-rays to see the condition of the bones in your knee and to identify fractures. Sometimes a fracture or soft tissue injury does not show up on an X-ray. In this case, your doctor may order a Magnetic Resonance Imaging (MRI) scan. A MRI scan will provide a very detailed view of your knee structure. Like the X-ray, the MRI does not hurt and you need to remain very still while the images are taken. A Quadriceps Tendon Autograft uses the middle third of the quadriceps tendon and a bone plug from the upper end of the kneecap. The quadriceps graft is large. It is most appropriate for taller and heavier individuals. It is also used for individuals with prior failed ACL reconstructions. Because it is a large graft, this method uses a larger incision. Following an injury, your knee will initially be treated with rest, ice, compression, and elevation. You should apply ice immediately after injuring your knee. Applying ice packs to your knee can help reduce pain and swelling. You should rest your knee by not placing weight on it. Elevating your knee at a level above your heart helps to reduce swelling. 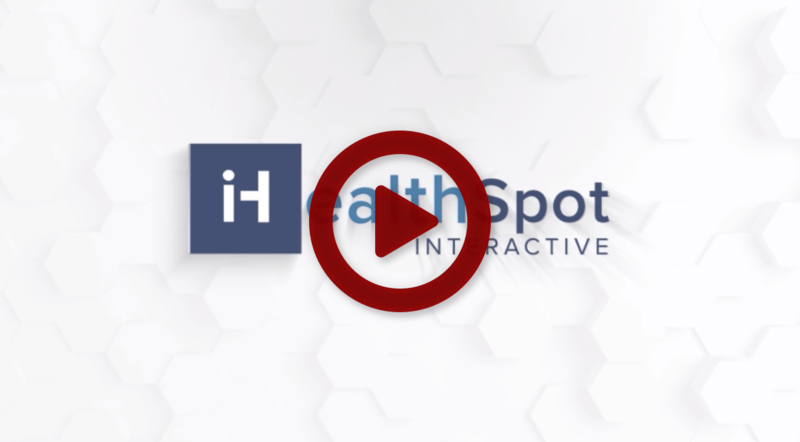 Your doctor may provide over-the-counter or prescription pain medication. Immediately following your injury, you may use crutches to help you walk. In some cases, a knee brace may be recommended to temporarily immobilize and support the knee. A knee immobilizer is used for only a short period of time. Physical therapy and rehabilitation can help restore knee functioning for individuals that do not undergo surgery. Your physical therapist will help you strengthen your knee. Special emphasis is placed on exercising the quadriceps muscles on the front of the thigh and the hamstring muscles on the back of the thigh. Eventually you will learn exercises to improve your balance and coordination. You may need to wear a knee brace during activities. Your therapists will educate you on how to prevent further injury. 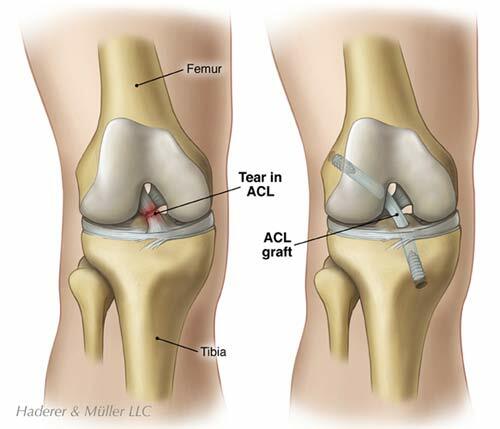 Surgical treatment is most frequently recommended for individuals with ACL tears accompanied by other knee injuries, and those with instability of the knee. If you are a candidate for surgery, you may participate in physical therapy prior to surgery to help you prepare for a successful recovery following surgery. Swelling can make the knee stiff. Immobility can cause the muscles and ligaments to shorten. Your physical therapist will help you stretch your knee to regain full movement. If your collateral ligaments are involved, you may need to wear a brace to allow them to heal prior to your surgery. Exercising will begin immediately after your surgery. You will begin physical therapy soon after your surgery. You first goals will include restoring range of motion of your knee and strengthening your quadriceps muscles. Walking and knee movements are very important to your recovery. At first, you will need to use a walker or crutches while standing and walking. Your doctor may also prescribe a knee brace for you to wear during activities. Your physical therapist will help you walk and show you how to go up and down stairs. You will also learn ways to exercise to further strengthen your quadriceps and hamstring muscles and regain balance and coordination. After your incisions heal, you may perform physical therapy exercises in a heated therapeutic pool. The heat may help to relieve pain and stiffness, while the water provides you with support while exercising your joints. It can take up to four to six months to restore proprioception and coordinated leg movements. You will most likely go home on the same day of your surgery. You will receive pain medication to make you feel as comfortable as possible. In some cases, ice is applied to the knee throughout the day to help to reduce pain and swelling. Your doctor may prescribe blood thinning medication and special support stockings. You should keep your leg elevated and move or pump your foot and ankle. In some cases, doctors prescribe compression boots and a Continuous Passive Motion (CPM) Machine. Compression boots are inflatable leg coverings that are attached to a machine. They work to gently squeeze your legs to aid blood circulation. A Continuous Passive Motion (CPM) Machine will move your leg in a cycling motion while you are in bed. The CPM Machine is helpful to improve circulation, decrease swelling, and restore movement in your knee. It is also important to avoid reinjuring your ACL. Depending on your injury, your surgeon may provide you with temporary or permanent activity restrictions. In some cases, specialized knee braces may be recommended for specific activities.